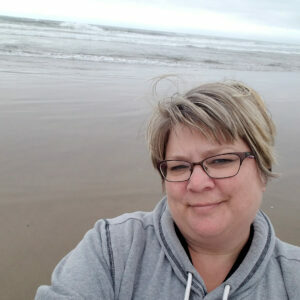 I am an independent marketing and graphic design consultant transplanted from sunny central California to the wilds of Utah. After two landlocked years (no the Great Salt Lake is not a substitute), my family was transferred to the Pacific Northwest. Four years later, we have come full circle and returned to California. I have always had a passion for writing and reading. 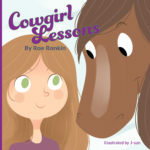 Cowgirl Lessons is my first children’s book. My second book, Beach Day, was released in 2018. I am currently working on a third children’s book as well as polishing up my first contemporary fiction novel. I live with a loving, supportive husband; teenage equestrian daughter; a dog who has her own business cards; and a neurotic cat who eats plastic house plants. I am available for book signings and author appearances in Central and Northern California. Please contact me at raerankinauthor@gmail.com. Libraries and wholesalers, Cowgirl Lessons is available from IngramSpark distribution ISBN 978-0-9994340-0-0 or by contacting me at the email listed above.